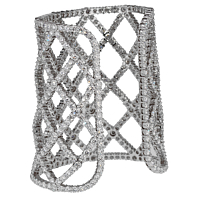 A magnificent cuff from Boucheron that is a remarkable piece. 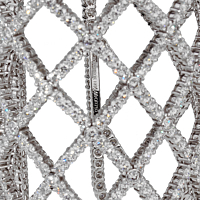 There is no shortage of sparkle and elegance with this weave diamond white gold cuff, as it is adorned 65cts of the finest round brilliant diamonds. They are bezel and prong set over the entire wide lattice patterned frame. Truly a special jewel.